Kim Basinger purchased the township of Braselton, Georgia. 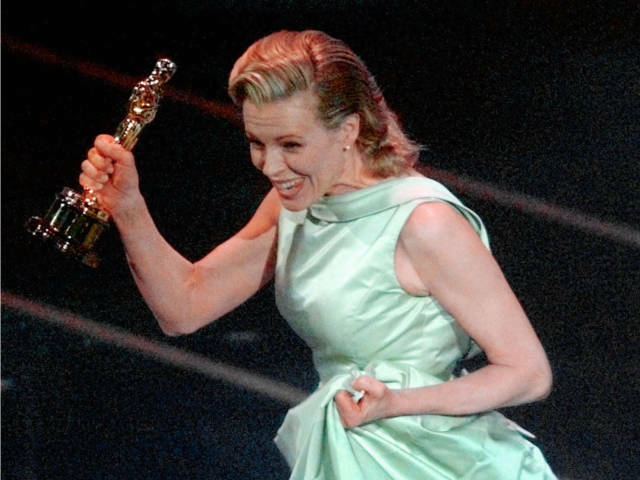 In 1989, Georgia-native and actress Basinger as well as other investors bought 1,751 acres of the 2,000-acre town for $20 million. She wanted to turn the town's farmland into a tourist attraction and film studio. In 1995, the town was auctioned off as part of Basinger's bankruptcy. Magic Johnson bought 30 Burger King franchises. 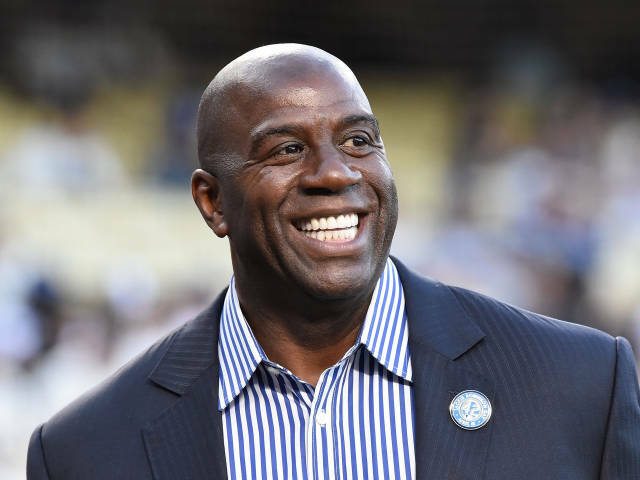 Like many athletes, Magic Johnson turned his post-sports career into a business. While many thread their athletic image with health foods, Johnson decided to go into Burger King franchising in 2004. He also built 105 Starbucks franchises (and later sold them), but he's still hanging on to those Burger Kings. Katy Perry bought Russell Brand a $200,000 ticket to space. For his 35th birthday in 2010, Perry bought her then-fiance Brand a ticket for Richard Branson's spaceship company Virgin Galactic. It's not really clear what happened to the ticket since the couple divorced, but it wouldn't be surprising if Perry still wants to send Brand to space. 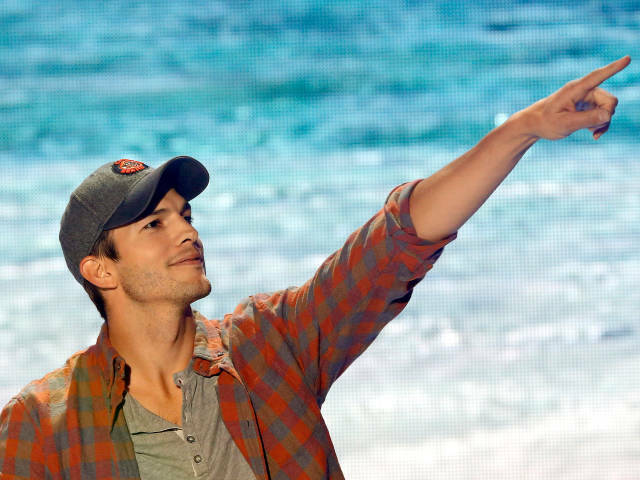 Ashton Kutcher bought a ticket for himself, too. He signed on in 2012 to be the 500th passenger. Nick Cannon and Mariah Carey have a candy-filled room for their kids. The couple (now split up) know exactly what every kids wants. You can see more of the epic 2016 candy room here. 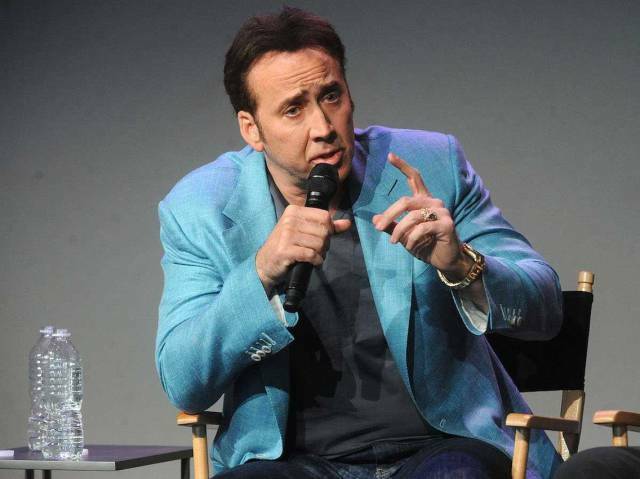 Nicolas Cage beat Leonardo DiCaprio in a bidding war over a $276,000 stolen Mongolian dinosaur skull. In 2007, Cage became the owner of a 67-million-year-old Tyrannosaurus bataar skull. In 2015, though, he had to give it up. It turned out the skull was originally stolen from Mongolia by a fossil smuggler named Eric Prokopi. Paris Hilton spent $325,000 on a villa for her dogs. The dog villa, which Hilton purchased in 2009, is two stories high and 300 square feet. There's also a balcony, black crystal chandelier, and that it came with "designer furniture." So yes, it's nicer than your home. Celine Dion requested a $2 million humidifier to protect her vocal chords. During a three-year residency at Caesars Palace in Las Vegas starting in 2002, Dion had the hotel install a very expensive humidifier to "preserve her singing voice in the harsh desert climate." The misting device hung above the stage while she performed. Kelly Rowland bought Blue Ivy a $5,200 Swarovski-crystal-studded baby bathtub. It was one of Beyonce's and Jay-Z's daughter's many expensive gifts for Beyoncé's baby shower. More recently, Blue Ivy got to wear a gown worth $11,000 to the MTV VMAs. It's almost as absurd as Tamara Ecclestone's $1.5 million crystal bathtub. The daughter of Formula One chief executive Bernie Ecclestone bought a really, really expensive bathtub. The crystal itself cost around $800,000, and it was a few hundred thousand dollars more to gather the crystals, build it, and reinforce her floor to hold it. "It's costing £1 million because I've got to reinforce the floor and I've had to pay for everyone's travel and the hauling back and polishing of the crystal," she told the Sydney Morning Herald in 2011. "But I spend a lot of time in the bath so it's worth it." Donald Trump installed a gold bathroom in his $100 million jet. After buying Microsoft co-founder Paul Allen's Boeing 757 for around $100 million in 2011, Trump apparently decided it didn't make him look wealthy enough. 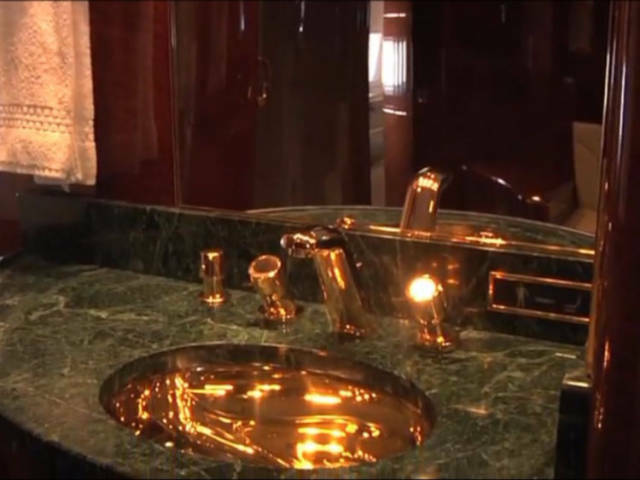 So he added a bunch of golden features and accents, including a gold-plated sink. George Lucas bought a fire brigade for his ranch. 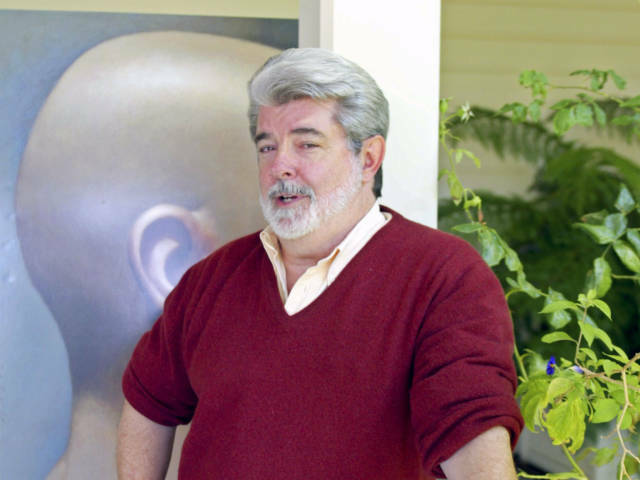 Lucas paid $100 million for Skywalker Ranch in California. To protect his investment, he pays for 12 full-time firefighters, plus a few volunteers and fire trucks. A custom-made gold grill cost Justin Bieber $5,000. It was just for a 2011 Halloween costume. We wonder how many times he's worn it since, or if it's been misplaced. Beyoncé spent $100,000 on gold leggings. She sported the Balenciaga leggings during her performance at the 2007 BET Awards. Victoria Beckham spent $35,998 on a gold-plated iPhone. The handcrafted phone was designed by Stuart Hughes and was made of 150 grams of 24 carat. She got it about five years ago, so it's not totally clear if she decided to keep it or is going for the iPhone 7. Lady Gaga spent $50,000 on a ghost buster. According to E!, she purchased an Electro-Magnetic Field Reader in 2010 to keep the ghosts at bay while she tours. 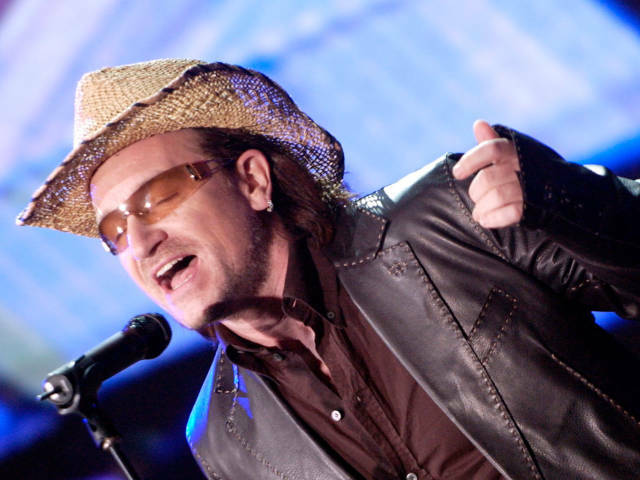 Bono bought a $1,500 plane ticket for his hat. Flying to Italy for a charity concert in 2003, Bono forgot his favorite hat in London. So he arranged for it to be ferried to him immediately, paying for a plane ticket, cab rides, insurance, and tips. "It was tricky telling the drivers and British Airways what he was after, but it all worked out," a source close to Bono told Contact Music. 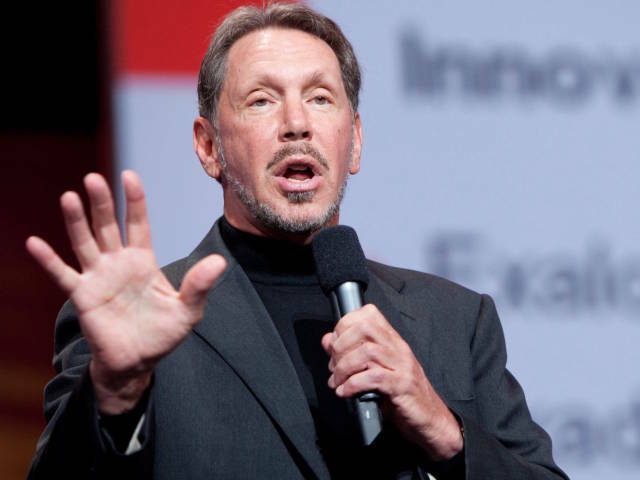 Larry Ellison has a casino once owned by Frank Sinatra. Tech billionaire Larry Ellison recently purchased a Lake Tahoe resort once owned by Frank Sinatra for a tad under $36 million. In the 1960s, it was a playground for celebrities like Marilyn Monroe and the Kennedy family. It's since lost its luster. Not that the Oracle founder actually needed another home in the area. He already owns two multi-million-dollar homes nearby, as well as the entire Hawaiian island of Lanai, a historic garden villa in Japan, and the parcel of land that Nobu Malibu sits on. 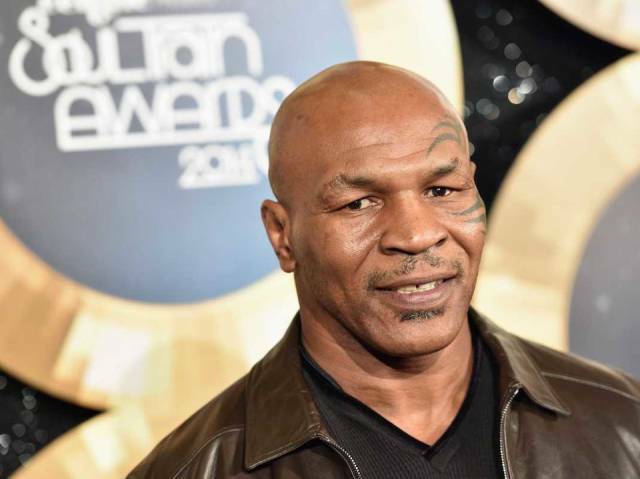 Mike Tyson bought a $2.2 million 24-karat gold bathtub and three Bengal tigers. You may have seen his tigers in the "Hangover" movies. There's a reason Tyson had to file for bankruptcy in 2003, and it may have involved outrageous purchases like those. Johnny Depp apparently spends $30,000 a month alone on wine "flown in from all over the world for personal consumption." In the middle of a lawsuit between Depp and his former managers, legal documents revealed Depp's extravagant spending habits. Among his purchases are an $18 million yacht (which he later sold to J.K. Rowling), 14 different residences around the world, 45 luxury cars, 70 collectible guitars, and his very important wine allowance.